The process of inducing any living organisms to show some response is called stimulation. The physical source which allow to show response is called source of stimulation. The movement which is shown by an organism in response to the source of stimulus is called reaction. The whole body movement shown by the organism in response to the source of stimulus is called taxis. Taxis may be positive or negative. When an organism is attracted (moves) towards the source of stimulus then that is called positive taxis. When an organism escape (moves) away from the source of stimulus then that movement is called negative taxis.Tasix takes place only in animals. 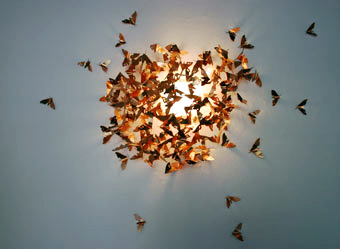 Phototaxis: The movement of organisms in response to light, as a source of stimulus, is called phototaxis. Movement of insects towards the light is positive phototaxis butmovement of cockroach away from light is negative phototaxis. Chemotaxis: The movement shown by an organism in response to chemicals, as a source of stimulus is called chemotaxis. 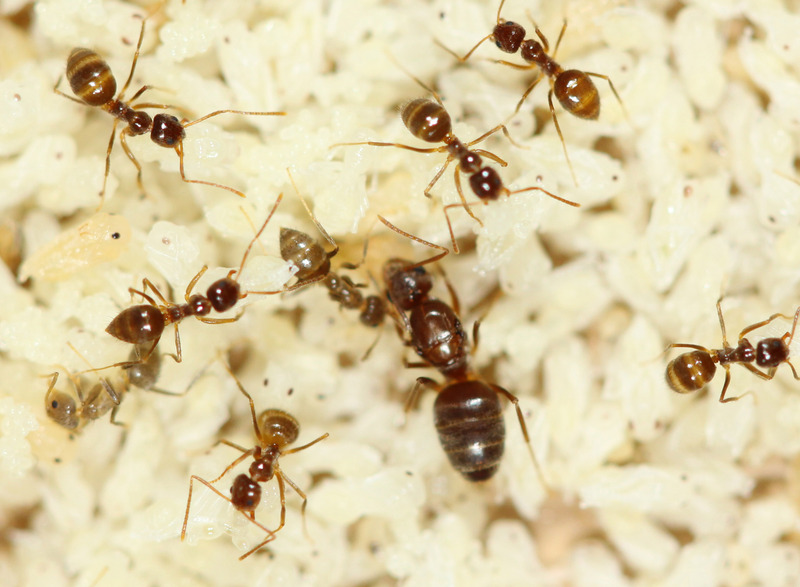 Movement of ants toward sugar is positive chemotaxis but movement of mosquito away from burning coil is negative chemotaxis. The movement of certain body part, not the whole body, of an organism due to some stimulus is called tropism. Tropism may be positive or negative. When an organism's body part moves towards the source of stimulus then that is called positive tropism. When an organism's body part moves away from the source of stimulus then that movement is called negative tropism. Tropism takes place only in plants. Phototropism: The movement of the certain body part of an organism in response to light is called phototropism. E.g. Root of the plant moves into the ground away from the sun is negative phototropism (this can also be an example of positive geotropism) and movement of shoot towards the light source is positive phototropism. Stimulation is the process of inducing any living organisms to show some response. Reaction is the movement which is shown by an organism in response to the source of stimulus. The whole body movement shown by the organism in response to the source of stimulus is called taxis. An organism if attracted towards the source of stimulation then it is positive taxis otherwise its negative taxis. The movement of organism in response to light, as a source of stimulus, is called photo taxis. The movement shown by an organism in response to chemicals, as a source of stimulus is called chemo taxis. The movement of certain body part, not the whole body, of an organism due to some stimulus is called tropism. It may be positive and negative. The movement of certain body part of organism in response to light is called photo tropism. A response shown by different parts of a plant to any external stimulus is called tropism. What do you mean by taxis? 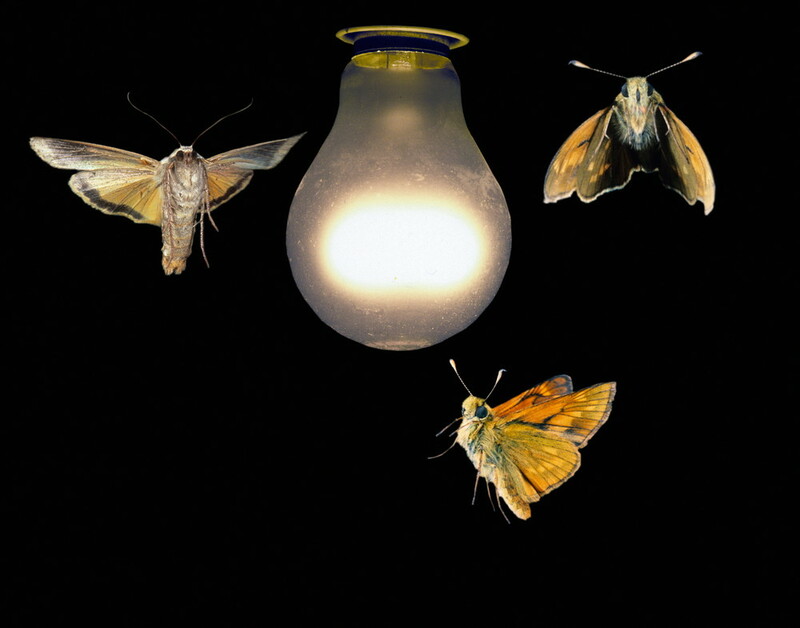 Animals respond to different stimuli. The response shown by an animal (or an organism) by moving towards or away from the stimulus is called taxis, e.g. when earthworm moves away from light, it is called negative photo taxis. How is tropism different from taxis? When an organism moves only a part of its body due to a stimulus, the response is called tropism. On the other hand, if the organisms moves as a whole due to a stimulus, it response is called taxis. How is phototropism different from photo taxis? Give an example of each. The response of an organism to light, either towards the source of light or away from it is known as phototropism. The movement of shoot of the plant towards light is called positive phototropism. When an organism responds to light by moving its whole body towards or away from light, it is called photo taxis. The movement of earthworm away from light is called negative photo taxis. Define the following types of stimulus giving an example of each. a. Chemo taxis: The responses shown by an organism to a chemical by moving its body towards or away from a chemical is called chemo taxis. For example mosquitoes move away from the mosquito repellant chemicals show in negative chemo taxis. b. Hydrotropism: When an organism responds to water/moisture by moving a part of its body towards or away from water is called hydrotropism. For examples root of plants move towards water showing positive hydrotropism. An earthworm when kept on the soil it moves inside the soil, why? An earthworm when kept on the soil it moves inside the soil because of negative photo taxis. Earthworm moves away from the light showing negative photo taxis. Name the type of stimulus in each of the following condition. b. Movement of roots of germinating seedling towards the center of the earth- Positive geotropism. The physical source which allows to show response is called ______. Which on is the examples of taxis? Movement of algae towards light is ______. Sporangiophores of many molds grow away from a moist substratum is ______ . The movement which is shown by an organism in response to the source of stimulus is called ______ . _______ is the movement of organism by changing location under the influence of the stimulus such as light, chemical etc. Movement of algae towards light is an example of ______ . What is the stimuli for Thigmotropism? 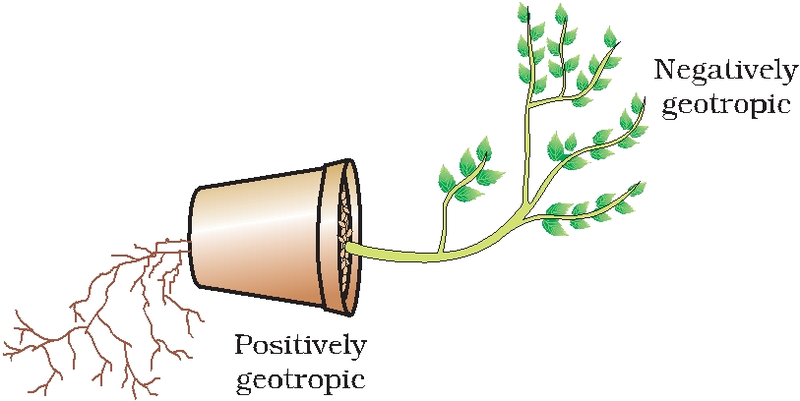 Which one of the following is the positive example for geotropism? since opening of lotous sun's heat is positive thormotropism but why opening of lilies unable to be example of it or it can be? why earthworm move inside the soil when it is kept in soil ? Any Questions on 'Taxis and Tropism '?